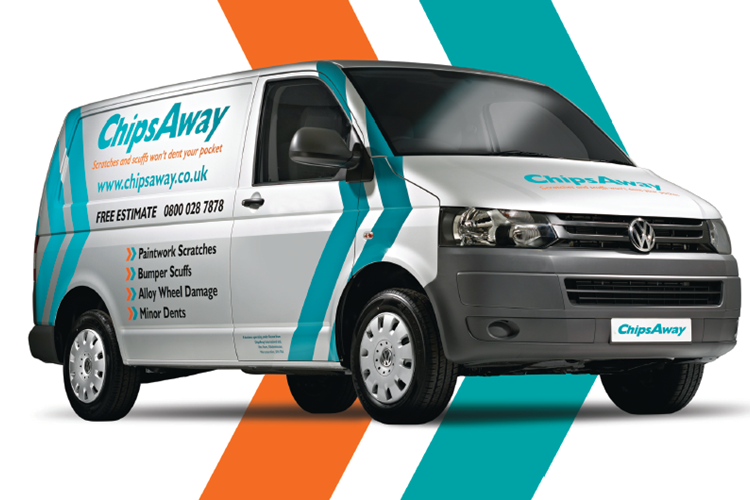 Paul Geary has been part of the ChipsAway network since 2008, and now operates out of our Ipswich Car Care Centre workshop, providing car body work repairs for Ipswich and the surrounding areas, including Felixstowe & Aldeburgh. I was very disappointed when I closely checked out a 2-year-old Skoda Roomster that I'd just taken in part exchange for my 8-year-old model, in that it had several untreated stone chips on the bonnet, doors and roof. In fact, the only attempt of a paint repair that I could find was on the rear bumper, which was clearly the wrong ... Read more shade of blue, and stood out like a sore thumb! Chipsaway sorted it all out for me very quickly, charged a very keen price, and did a superb job. They even managed to put enough of the correct shade of touch up paint on the rear bumper scratch to disguise a previous botched repair! Thankyou Chipsaway, I can 100% recommend you to others, and will return, hopefully not too often, to cover up any chips that I pick up in the future. Excellent! Very pleased with the repairs on my fiesta by Chipsaway Ipswich. Very helpful and friendly people. Would definitely recommend. Thank you! I recently took my car to be repaired at Chips Away in Martlesham Health, Ipswich. I wanted to say how pleased I was with the service. The staff were very friendly and helpful. The work was carried out and I was kept informed and charged what I expected to be charged. I am very happy with the repair and the service I received. I will recommend you to my friends. I must write a personal thank you for the excellent finish on my beloved Astra. I just wanted to say Thank You for your prompt response to my enquiry yesterday and very efficient repair today. I wasn’t sure if this kind of repair was possible so I am very pleased with the results. The whole process was simple and painless and I wouldn’t hesitate to recommend you. We will certainly be calling on you in the future! Chips Away Ipswich fitted me in at short notice and ensured my lease car was in excellent condition for its return. The customer service is outstanding, I was phoned with an estimate then after proceeding with the repairs was called again and given an update. The next day called again to say car when car would be read for ... Read more collection.The repairs are invisible and the car looks brand new again. Brilliant, cannot recommend them enough. Just wanted to drop you a quick email to say thank you for doing such an outstanding job on my Landrover discovery this week. Your help and speedy repair was much appreciated, and will definitely be recommending your service to the guys on camp here at rock barracks. thank you for doing such a brilliant job on the car. It has come back looking like new. I had a repair by Chips Away Ipswich to a scrape on my car's front bumper and honestly couldn't tell the difference once the repair was completed.As my car was a newish Mercedes I did wonder if I should risk this service instead of using a car repair Body Shop. I needn't have been worried due to the high quality of the work. I found ... Read more the staff friendly and professional and the cost reasonable. I would recommend this service. Took car in for paint job at Chipsaway at Ipswich. Brilliant job completed by Andy. Was happy with job, customer service and price. Would recommend to anyone. This is the second time I have used ChipsAway Ipswich. The first occasion was several years ago and the repair still looks as good as new. I have now had a second minor scrape repaired. The work was carried out in the promised timescale and has been finished very well. I would recommend using this company. Their work is good and the people are very pleasant and professional. Brilliant invisible repair to my front bumper today at ChipsAway Ipswich. Fantastic service and helpful staff, have already booked our other car in for rear bumper scuff. No hesitation in recommending this excellent company. ChipsAway Ipswich really do have customer service as a focus. When I collected my car after some significant repairs there was a minor scuff on the edge of one door, which had been mentioned during the quotation assessment but had not been included on the written quotation. There was no quibble - the work was carried out promptly at ... Read more no extra charge. I was very pleased with the standard of repairs carried out and the overall cost was very reasonable. As a bonus, the repairs are guaranteed for however long I keep the car! I was very pleased with the repair completed on the bonnet of my car. They were quick and professional. Top class in every way. The remedial work was excellent, advice was given on care and on a related problem. Efficient and friendly service and genuinely nice people. Paul and his wife run an excellent, reasonably priced business. would recommend them without hesitation. Chips Away Ipswich. Fantastic service. Josie was extremely helpful and informative. Really happy with the end result, our car is as new again. Great service at a very reasonable price. Would highly recommend. Chips Away Ipswich. Excellent service. Work completed to a first class standard and within a tight time period. Good value. Excellent service. Appointment to look at scratches on rear bumper of my Peugeot sorted quickly and easily at ChipsAway Ipswich. Work was done to a very high standard, looks like new. Assisted with follow up work, always polite and helpful.